The texts of the liturgy and an examination of how the Byzantine liturgies relate their liturgical texts so as to inform the approach taken in the Roman Rite. Liturgical Action - how we can change the way we worship, in accordance with existing rubrics and Tradition so as to engage with visual imagery more directly. Catechesis - how we teach congregations to understand what they are seeing so that it they are able to engage with the art naturally during the course of their worship. Anyone who has ever read a book on Eastern icons will know that the Byzantine Catholic and Orthodox Churches have a well established way of arranging the icons in their church. Not only are there clear directions on who or what to paint and what style to paint it in, they also know exactly where they are supposed to put each piece of sacred art in their churches. Furthermore it is clearly understood how each image relates to every other, and how each person ought to engage with each piece of art in the course of the liturgy itself. So for example when the Ukrainian Catholic National Shrine of the Holy Family in Washington DC put out a call for icon painters, a couple of years ago, they did so in accord with this tradition. In my understanding, the rules are not absolutely rigid; most Eastern Rite churches will conform to this while accomodating some aspects that are particular to the church community - the patron saint of the church for example. What should we do in the Roman Rite? I know of no established schema with anything like canonical status. The Church's guidelines, (for example, the GIRM, Canon Law and in the US a booklet produced by the bishops called Built in the Living Stone) offer suggestions as to the broadest principles for choice of art, but aside from asserting the centrality of the crucifixion and images of Our Lady and the saints we are offered by little specific regarding what images particularly are appropriate. I do not quarrel with the single word of these documents, but I do think we need more. My hope is not that a set of rigid rules will be drawn up, but rather a set of more detailed principles and recommendations by which a pattern of art can be drawn up that would be in accord with tradition, would reflect authentic liturgical praxis and would also be particular to the congregation for whom it is primarily intended. I could imagine a whole series of different schema might develop that are all consistent with these principles. We can take heart in this from the example of the Eastern Church, which did much scholarship in the 20th century to reestablish the iconographic tradition as a living tradition and to present a coherent account of traditional practices. 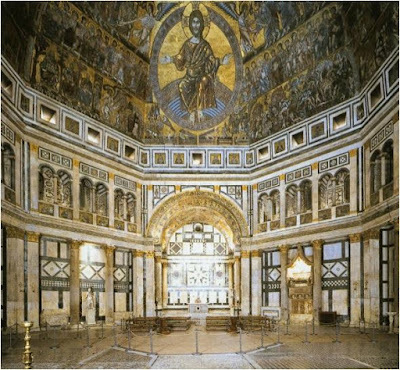 As a result in a relatively short time church architecture and art is flourishing in the Eastern Rite so that in Byzantine Catholic and Orthodox Churches today, there is the self confidence and know-how to create churches and art that are as splendid as any in the past. We can do this in the Roman Church as well if we wish to. First we need a study of scripture so that we understand the Old Testament types and the New Testament basis of the sacraments and the liturgy. This will focus particularly on the Rites of Initition - Baptism and Confirmation - and the Eucharist. Second is a study of the texts and meanings of the words of the Rites and especially the Mass and, in the context of the Mass, I suggest, the Roman Canon. This is what will create a characteristically Roman template. Third is to study the example of the Eastern Rites and see how their imagery is connected to the Divine Liturgy with a view to understanding how this can be done well in the West too. While we do not want simply to copy an iconostasis template, there is much to be learned by studying the principles by which it is ordered. Fourth, in the light of all of the above, we should study the examples of past Roman churches so that we can understand why things were done as they were. This is not always easy as images are moved and replaced over time. Perhaps ancient mosaics and wall paintings are the most reliable indicators of past practice in this regard. Fifth is liturgical action: we need to re-develop a way of participating in the liturgy that encourages engagement with art in harmony with the highest end to which our worship is directed, so that the art actually influences our Faith through the activity of worshipping God. Sixth is to explain what we are doing and make any symbolism obvious and easily understood, not obscure. The goal of art is to reveal truth, not to mystify or create mystique unnecessarily. 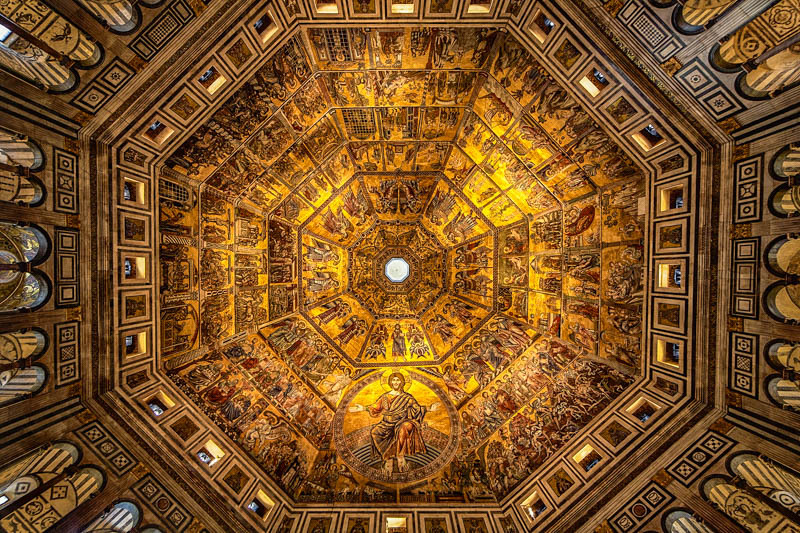 Seventh is architecture - we should understand how the architecture ought to be in harmony with the church's role, primarily, as a place for worship; and secondarily and connected to that, to display art that supports that worship. I have recently attended a series of online scripture courses that are designed to connect the traditional imagery of the Church to its scriptural roots and to the liturgy. This has been an eye-opener for me. The books that the course relied upon, apart from the Bible, were, The Bible and the Liturgy by Fr Jean Danielou; and Baptismal Imagery in Early Christianity by Robin Jensen and the Catechism of the Catholic Church. As part of that course it became clear to me that there is a need for general re-ordering of the rites of initiation so that Baptism, Confirmation/Chrismation and their culmination in the Eucharist are understood and connected in people's minds. It will be difficult to create a pattern of art ordered to these, if their meaning is misunderstood by most people who go through it because of this misplaced order. We have just heard about how this change was instituted in the Manchester NH diocese by His Excellency, Bishop Libasci. I understand that there are now 11 dioceses in the United States which have done this. Also, it seems to me, these rites would be better done in connection with regular Sunday liturgies rather than quietly on a Saturday morning (as they still are for adults at the Easter vigil). Then the whole community of the parish will welcome a new member into the body of Christ and be re-catechised each time these and the Mass are celebrated. This is how an effective and ongoing mystogogy - a deepening of the mysteries - might happen. The art will teach people about the meaning of these sacraments by giving a pictorial commentary on what is happening and for much of this, scripture will be the source. There is hardly a passage in the Old Testament that in some way doesn't anticipate what happened in the New, and there is so much of the New that relates in some way to these three sacraments. It is often said that the images of traditional churches, for example the stained glass windows of gothic churches, and were intended as scriptures in images - effectively Bible lessons for those who cannot read. I doubt this. Images in churches should be chosen not to direct our attention to the Bible, but rather to focus our attention on the liturgy. The goal of art in a church is to give understanding about what happens in the church primarily - the worship of God. Certainly many of the images are rooted in scripture, and those who understand what they are seeing would know and understand scripture too; but art reflects scripture, because the Bible is, fundamentally, a liturgical document; that is to say, that the books of the Bible, especially in the case of those in the NT, were written to be read and heard in the context of the liturgical celebration of their intended audience. (For more on this, see the recent publications of Rev. John Paul Heil, Chair of NT at Catholic University, DC). Furthermore, it contains the blueprint for the sacraments and the Christian life which is lived in its fullest in the liturgy. The scriptural art is in church, therefore, not to instruct us in scripture as an end (unless you are protestant). Rather, it is to offer an alternative account of the same truths which are in the Bible and are relevant to the liturgy. And that is why one will see in addition many images which are liturgical, but not scriptural. For example the many of the images of saints such as those referred to in the Roman Canon or whose feast days are celebrated. Their presence through the year tells us that they are worshipping with us in the heavenly liturgy and reflects the pattern of feasts and commemorations within the liturgical calendar when they will be a focus for prayer. Also images relating to many feasts are a visual accounts of a theology which is more than a strict narrative of a biblical passage and will be derived from other aspects of Tradition as well. In my opinion it has been the general inability of creative Catholics to connect this grand drama that is revealed in scripture and the liturgy to each personal story lived out by non-Catholics in wider society that is so much of the cause of the general separation of contemporary culture from the culture of Faith. This divide is described by Benedict XVI in the Spirit of the Liturgy and if we are to accept his analysis, has existed for about 200 years at least.. Every aspect of human activity and hence the culture can potentially be penetrated, to use Taft's word, by the scriptures but people can't give away what they haven't got. Artists, dramatists, composers and writers need to be catechised so that they grasp this and are able to infuse their work, albeit obviously or subtly, with this message so that it connects with those whom we wish to evangelize. Artist, patrons and priests, therefore, must understand the ultimate end of both scripture and holy images in the liturgy. When this is done then the church can be adorned, floor to ceiling (including both floor and ceiling) with images that are united to the worship of God. There is no distraction if it is all derived from and points to the liturgy. There is a place for non-liturgical, devotional art, too, but it should never be such that it dominates or detracts from that which is directly connected to the liturgy. It was the overabundance of devotional imagery in the period before the Council, I suggest, that led to a desire to strip much of the art away. Unfortunately this was overzealously implemented! 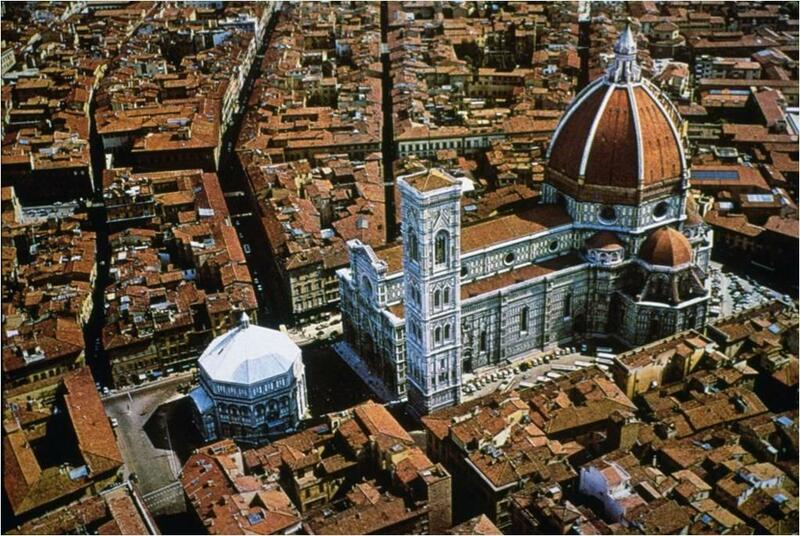 In regard to the place of scripture, consider the schema for the baptistry in Florence for example. It is Romanesque, built in the 11th and 12th centuries. The building itself is octagonal which reflects the symbolism of Christ as the 8th day of creation. 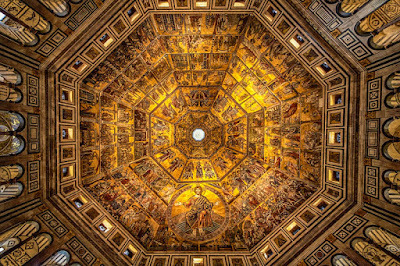 It is adorned with sybolic geometric art and in the interior the dome has a complex schema that reflects the bibilical types of the sacrament. This is only part of it, for the doors of the Baptistry - perhaps even more famous than the building they were made for - also reflect a whole series of scenes from the Old and New Testament. You can read about this on the Wikipedia entry for the Baptistry, from which all the above images come from. There is more information on how baptistries in the early Church were decorated from Robin Jensen's excellent book Baptismal Imagery in the Early Church. 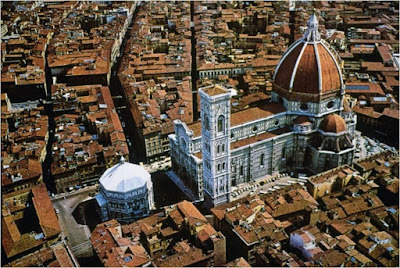 I do not suggest that the baptistry should always be a separate building, but it should at least be a separate place, perhaps close to the entrance of the church, so that after baptisms there might be, perhaps, a procession to the main body of the church building. There are equivalent types and narratives rooted in scripture that could be the basis for imagery for Confirmation - for example those relating to the Holy Spirit; and to the Eucharist as well and these, especially the latter, should adorn the main body of the Church. As I write this I have just returned from a short visit to the Norbertine Canons Regular at St Michael's Abbey in Orange County, CA. I was talking about this topic with them and one of their seminarians made the point that the Roman Canon ought to be a crucial. I realised that this is the text, perhaps more than any other, that will characterize the Roman liturgy and will contribute its distinctive imagery, differentiating it from other Rites. The saints and the particular OT archetypes referred to in the text could be portrayed pictorially. 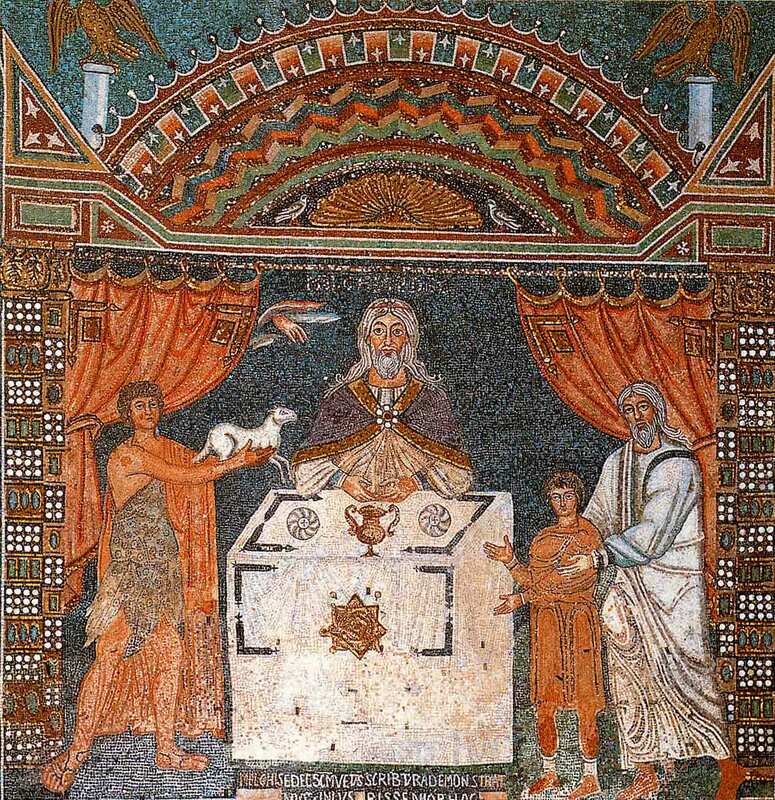 For example here is a 6th century mosaic of the three sacrifices, Abel, Melchizadek and Abraham which is at Sant'Apollinare in Classe in Ravenna. 3. Looking East - Study of the Byzantine Churches. I suggest that the schema for iconostases should be studied in such a way that we can understand how they are formed by the liturgy. 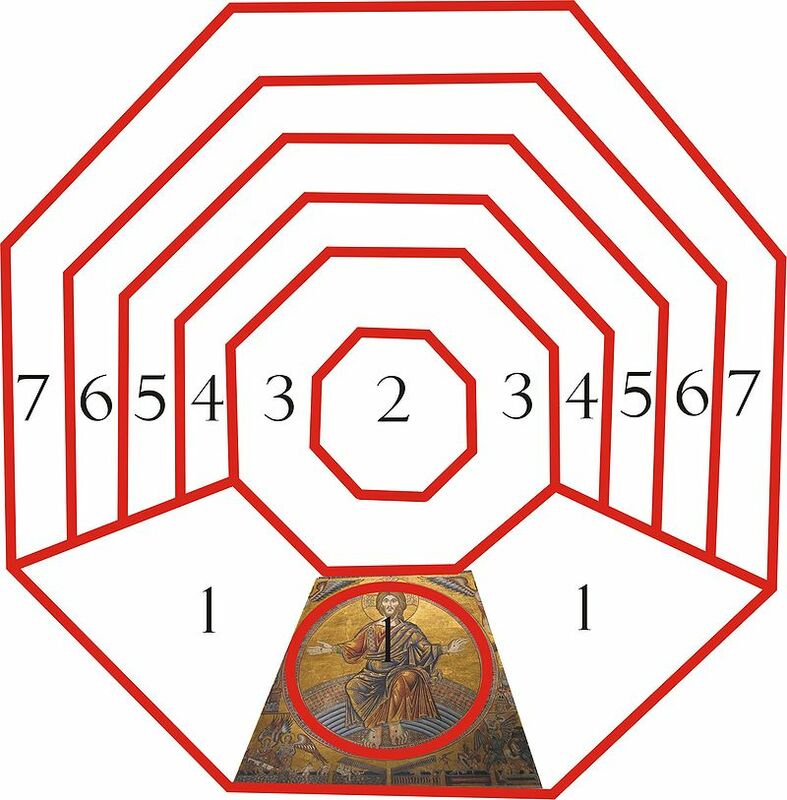 I would be looking at the images contained and also their relative positions so that it enables the worshippers to interract with saints portrayed and be engaged with the mysteries represented. By this Mary, the Mother of God becomes the portal, so to speak through which the Word is made flesh. The image above is a modern example which is at a church in St Petersburg, and which is based on a 14th century Greek image (with the addition of peacocks which symbolize eternal life). 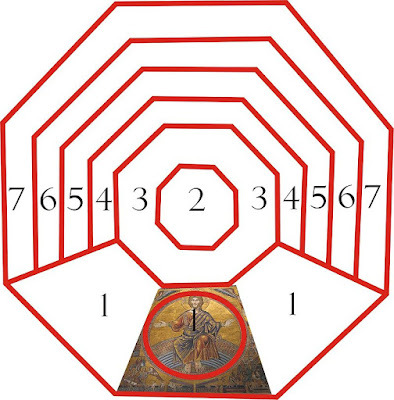 When the doors are opened, we see the altar and so the two are connected in our minds. I found the image below of Holy Ressurection Melkite Catholic Church in Columbus, Ohio. The large image of the Mother of God, now behind the altar reinforces the point that her Son is between us. There is no image of the Easter Resurrection itself, the Ressurected Christ is visible however, and is seen with the eyes of Faith on the altar. 4. Study the Western tradition in the light of what we learn. In parallel with this study we should look at examples of schema of the West, where they exist, and look for similarities and differences and try to account for them. 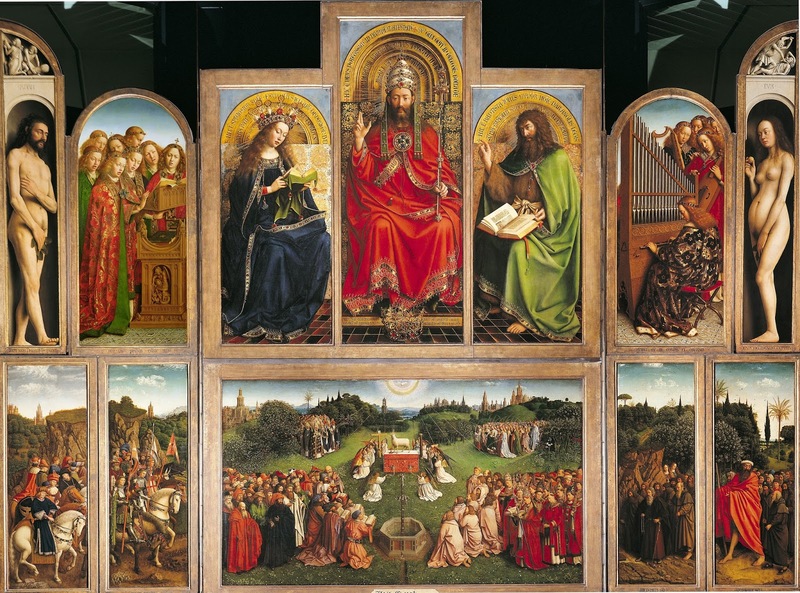 Consider now, for example, the Ghent altarpiece from the 15th century. This is a reredos and so in contrast to the above, it would have been situated behind the altar and not in front of it. 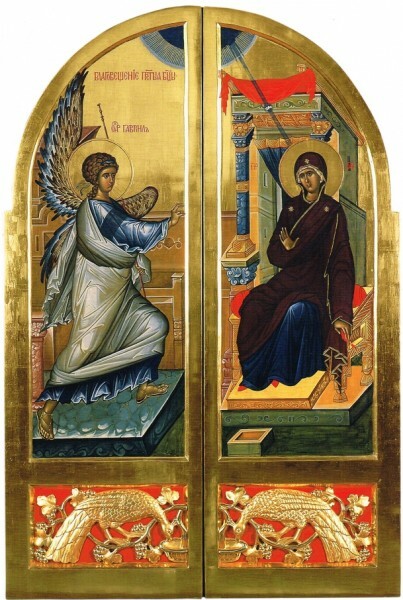 So we see that here too the Annunciation is the dominating image. As well as the prophets and patrons, there are St John the Baptist who saw proclaimed the Lamb of God and St John the Evangelist who described the moment in his gospel. Just as with the iconostasis the doors open to reveal the altar with the lamb, except this is presented pictorially so as to highlight what is happening in front of it, on the altar in the church. We now see Our Lady as the Queen Mother and John the Baptist flanking Christ in Glory, who is the 'image of the Father'. 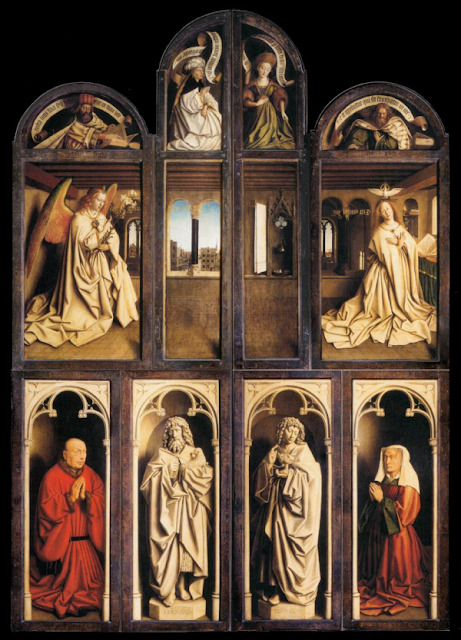 For a more detailed analysis of this you can see my article on the Ghent altarpiece in the Adoremus Bulletin of March 2016. Incidentally, notice how, top left and top right we have the sacrfice by and the killing of Abel, in monochrome. Two of the Marian anthems sung after Compline, for Advent (and Christmas to Epiphany) and Lent, the seasons of anticipation of the coming of the Lord and of his Resurrection speak directly of Mary as the doorway - the door of morning, and heaven's gateway. I wonder if this connection was made with this painting by the congregations of 15th century Ghent? The reredos will not have been the only set of images in the church. Most likely a rood screen was in front of the altar and that will have had the crucifixion. This highlights one difficulty of studying past schema - paintings are moved or destroyed and so we don't know what was there originally. Mosaics might be the best indication we have. We know only too well today, that churches are constantly re-ordered and if you look at many it will very likely offer an assortment of art which reflects the favorite devotions and taste of the last pastor or patron and will not be an indication of tradition. One thing that has always struck me about the way that Eastern Rite Catholics worship is the more active engagement with the images during the liturgy itself. Attention sways to left and right as the Mother of God or Christ or the Patron Saint are addressed through their icons. Many Roman Catholics do not have the facility of worshipping in conjunction with images in the way that one might see in an Eastern liturgy. I don't know what is cause and what is effect here. It might be that the style of worship for a long time - the last couple of centuries perhaps - has been such that there is so little engagement with the art that there has been little point in having many liturgical images; or it might be that the emphasis on devotional imagery in churches has meant that the liturgy itself has becone disengaged from its surroundings because there was less and less to opportunity engage with art during worship. Regardless of the reason, we have a situation today where even if great care is taken to choose beautiful, high quality art, and even if the liturgy is celebrated well, there is rarely a connection between art and worship. The art and architecture becomes at best a beautiful backdrop which creates and atmosphere that is appopriate to what is going on, rather than an integral part of a beautiful and gracefully liturgical 'machine' in motion. I suggest that thought needs to be given to how we can adapt the celebration of the Mass so that there is greater engagement. Clearly this needs to be done with care and I would hesitate myself to make many suggests as to exactly what could be done during the Mass itself. I would rather leave that to liturgical specialist. I do offer a few throughts for consideration, however. For example, the Eastern practice of putting out an icon of the Feast of the day and readings could be adopted so that all see it as they come into the church. Then, perhaps on processing in and out of the Church this could be incensed and venerated. The homilist could reinforce this by referring to the image - 'this is why we venerated it when we came in' and 'this is why we will when we go out'. Furthermore there could be processions round the church building itself before or after Mass at which the images appropriate to the liturgical calendar are venerated and incensed. Congregations would develop the habit of noting which images were appropriate to any particular day and those thoughts would be with them during the Mass proper so that at the mention of, for example, the saint of the day during the Collect they would instinctively turn to look at the image. I have pointed out in the past how I do not see how any artist can realistically expect to paint art that connects with prayer if he is not habitually praying with art himself. With this in mind I have tried to develop the habit myself during Mass of turning to face the statue or painting of the saint at the moment he or she is named audibly. Similarly, if we are addressing the Father in prayer, as in the Our Father, I try to remember look at the image of Christ, so that I address my prayer to the Father through the Son, the 'image of the invisible God', in the Spirit. I have an icon corner at home so that when I pray the liturgy of the hours, I do so in conjunction with visual imagery. The book, the Little Oratory was written so as to develop in lay people this habit of engaging with visual imagery in the context of the liturgy in the hope that they might subsequently bring this habit with them when they pray the Mass. 2 the Lord took Juda for his sanctuary, Israel for his own dominion. 4 up leapt, like rams, the startled mountains, up leapt the hills, like yearling sheep. 5 What ailed you, seas, that you fled in terror, Jordan’s stream, what drove thee back? 6 Why did you leap up like rams, you mountains, leap up, you hills, like yearling sheep? 8 who turned the rock into pools of water, the flint-stone into a springing well. 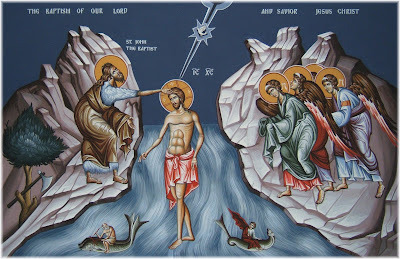 Then people are more likely to understand that the earth thrills because by his Baptism, Christ has sacramentalized, so to speak, the spring waters that eminate from the rock, which is the Church, and by which our baptism will purify as we die spiritually with Christ, to be spiritually resurrected, in Christ, in Confirmation. If you look at details of the Ghent altarpiece, above, for example, you will find many painted excerpts from scripture. I suggest that today's Catholic needs more help than his 15th century counterpart...I know I do! So today we should see more writing on our pictures, not less. As a result potentially, every member of a parish church would become a catechist and an evangelist who could give the neophyte or visitor a tour of the church through which, by referring to and explaining the images, he would be explaining the essential elements of the Faith. Recently I was given a explanation of the design of the gothic cathedral at Salisbury in England in which it was pointed out that it was unusual for a non-monastic church to have a covered cloister. 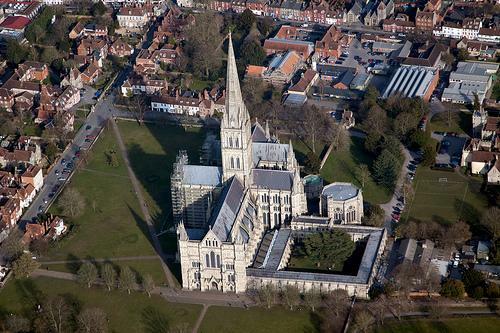 It was there, I was told because of the special nature of the Sarum liturgy, which originated in Salisbury (Sarum being the old name for Salisbury). It had many processions and the cloister was the place of procession - a covered walkway built with the English rain in mind! It occurred to me that as liturgical action develops so as to engage art, this will not only effect the style of art, the content of the images and the combination of images we see in churches, it will also affect the architecture of newly built churches just as the Sarum liturgy affected the design of this gothic cathedral. Perhaps if processions are the way, we might see a re-emergence of the cloister or covered walkway. then we could have a planted garden of Eden in the quadrangle. People would see it as they proces into the church where they will be greeted with a pictorial, architectural and musical rendition of the New Jerusalam and paradise restored. Alternatively we might see new but liturgically authentic architectural developments that characterize our age that are previously unimagined. For those who are interested in knowing more, the curriculum of Pontifex University's Masters in Sacred Arts is designed with these principles in mind. The Pontifex MSA gives its students the scripture knowledge and understanding of liturgical principles in relation to visual imagery by which, we hope, the new schema will emerge. Appendix: existing guidelines on art. 318. 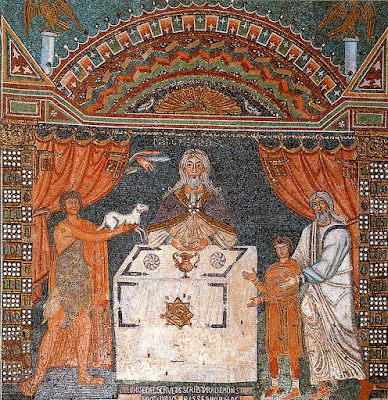 In the earthly Liturgy, the Church participates, by a foretaste, in that heavenly Liturgy which is celebrated in the holy city of Jerusalem, toward which she journeys as a pilgrim, and where Christ is seated at the right hand of God; and by venerating the memory of the Saints, she hopes one day to have some share and fellowship with them. Thus, in sacred buildings images of the Lord, of the Blessed Virgin Mary, and of the Saints, in accordance with most ancient tradition of the Church, should be displayed for veneration by the faithful and should be so arranged so as to lead the faithful toward the mysteries of faith celebrated there. Care should, therefore, be taken that their number not be increased indiscriminately, and moreover that they be arranged in proper order so as not to draw the attention of the faithful to themselves and away from the celebration itself. There should usually be only one image of any given Saint. Generally speaking, in the ornamentation and arrangement of a church, as far as images are concerned, provision should be made for the devotion of the entire community as well as for the beauty and dignity of the images. Canon Law re Sacred Images, 1186-1190, here.